Defenders of Freedom sends personalized care packages to deployed troops and provide financial aid for wounded troops at home. 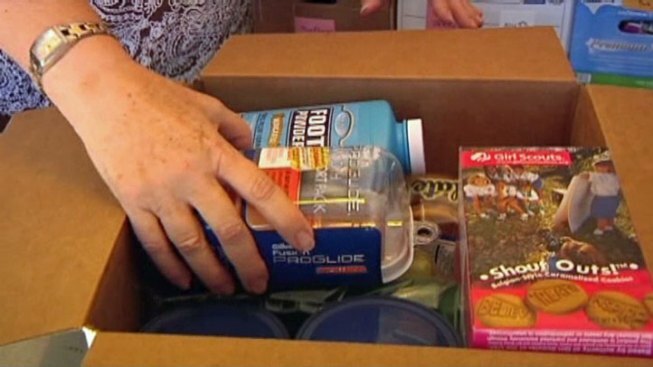 NBCSanDiego is teaming up with Operation Caregiver to provide needed materials to U.S. troops. Preferred items include 10 oz Gold Bond Medicated Body Powder, 8 oz SPF 50 sunscreen, and 6 oz OFF! Insect Repellent. Monetary donations are accepted and will be used to buy goods for kits. To donate, stop by NBCSanDiego Studios in Horton Square on September 23. Donations will be accepted from 6 a.m. to 6 p.m.